Long-Term Marijuana Use Linked To Obscure Vomiting Illness : Shots - Health News For a small percentage of people who smoke marijuana, long-term use can make them sick with violent vomiting. California doctors worry they'll see more cases when pot is fully legalized in January. Chalfonte LeNee Queen of San Diego grappled with violent vomiting episodes for 17 years until she found out her illness was related to her marijuana use. 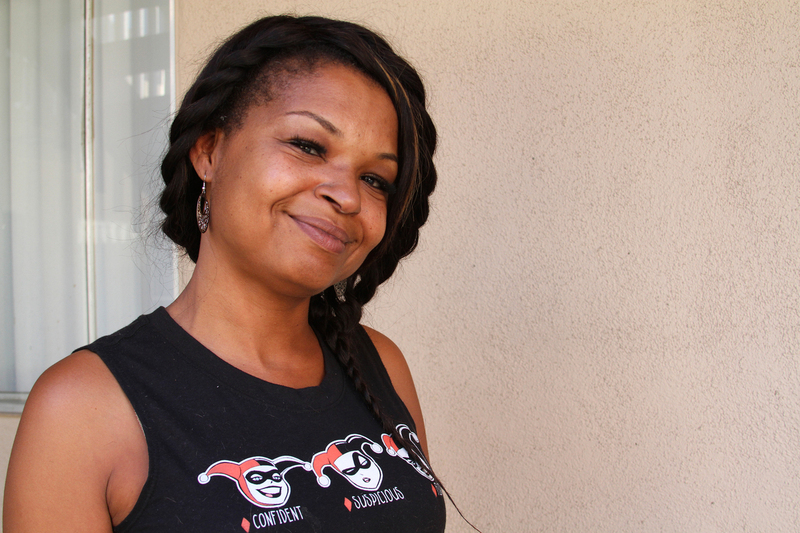 "I've screamed out for death," says Queen, 48, who lives in San Diego. "I've cried out for my mom, who's been dead for 20 years, mentally not realizing she can't come to me." Throughout the nearly two decades of pain, vomiting and mental fog, Queen visited the hospital about three times a year, but doctors never got to the bottom of what was ailing her. By 2016, she thought she was dying, that she "must have some sort of cancer or something they can't detect," Queen recalls. But she didn't have cancer. She had an obscure syndrome called cannabinoid hyperemesis syndrome, a condition only recently acknowledged by the medical community. It affects a small population — namely, a subset of marijuana users who smoke multiple times a day for months, years or even decades. There's no hard data on the prevalence of the illness. But in California and Colorado, which have loosened marijuana laws in recent years, some emergency physicians say they're seeing it more often. One study in Colorado suggests there may be a link. Dr. Aimee Moulin, an emergency room physician at UC-Davis Medical Center in Sacramento, says she has seen a rise in the number of cases since California voters legalized recreational marijuana last November. She expects to see another increase after commercial sales are permitted starting in January. Doctors say it's difficult to treat the condition. There is no cure other than to quit using marijuana, and many patients are skeptical that cannabis is making them sick, so they keep using it and their vomiting episodes continue. Doctors can do little to relieve the symptoms, since traditional anti-nausea medications often don't work and there are no pills to prevent the onset of an episode. Patients may need intravenous hydration and hospital stays until the symptoms subside. "That's really frustrating as an emergency physician," says Moulin. "I really like to make people feel better." Diagnosing the syndrome can also be frustrating and expensive. There is no blood test to link the stomach ailment with marijuana use, so physicians often order pricey CT scans and lab tests to rule out other medical problems. Cannabinoid hyperemesis syndrome was first documented in Australia in 2004. Physicians have historically misdiagnosed it as the more generic cyclic vomiting syndrome, which has no identifiable cause or, as in Queen's case, acute intermittent porphyria (AIP). "Five years ago, this wasn't something that [doctors] had on their radar," says Dr. Kennon Heard, an emergency physician at the University of Colorado in Aurora who co-authored the Colorado study showing a possible tie between the liberalization of marijuana and a surge of the vomiting illness. "We're at least making the diagnosis more now." One surefire sign of the illness is when patients find relief in hot showers and baths. Queen said she would vomit repeatedly unless she was in a hot shower, so she'd stay in there for hours. Toxicologists say the heat may distract the brain from pain receptors in the abdomen but, like the syndrome itself, that phenomenon is not well understood. The exact cause of the condition remains a mystery. Toxicologists say the chemical compounds in marijuana may throw off the normal function of the body's cannabinoid receptors, which help regulate the nervous system. Some people may be genetically predisposed to the syndrome, or marijuana's potency or chemical makeup may have changed over time, says Dr. Craig Smollin, medical director of the San Francisco division of the California Poison Control System and an ER doctor at Zuckerberg San Francisco General Hospital. The vomiting link to cannabis is counterintuitive to many, because of its widely known reputation as an anti-nausea remedy for cancer patients. 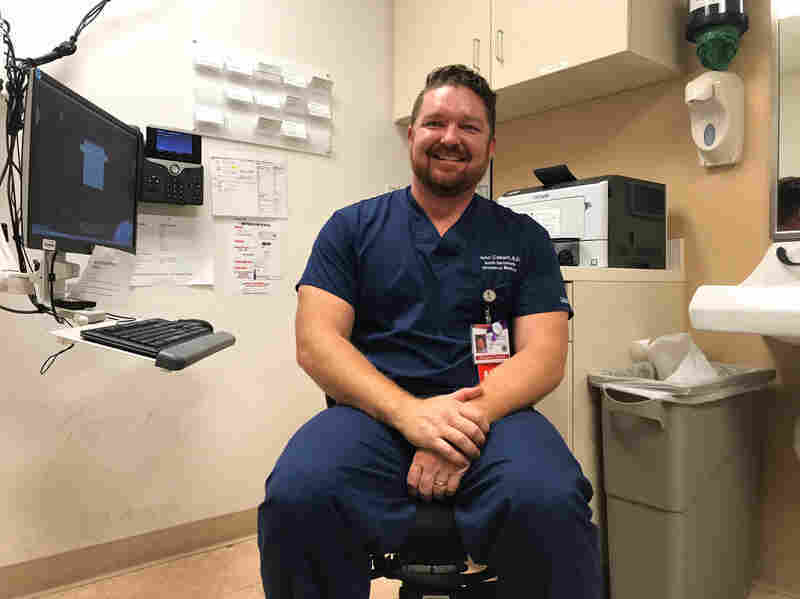 "A lot of times, people just don't believe you," says Dr. John Coburn, an emergency physician at Kaiser Permanente in south Sacramento. Even after being told that quitting may help, some patients will visit the hospital multiple times before they stop smoking marijuana, Coburn says. "I can't really tell you why. I mean, why do people ride motorcycles without helmets on?" Dr. John Coburn, an emergency physician at Kaiser Permanente in Sacramento, Calif., says his department sees the cannabis-related vomiting illness every day. Cameron Nicole Beard, 19, of East Moline, Ill., said she struggled to believe her doctors about the link between pot and severe vomiting. "Who wants to be told you can't smoke marijuana, when you think marijuana can help?" says Beard, while recovering from a marijuana-related vomiting episode at a University of Iowa hospital in Iowa City, Iowa, last month. She said she had lost 20 pounds in 10 days. Although there's still no magic cure for a patient's marijuana-related hyperemesis, Moulin and other doctors say they're getting better at treating the symptoms, using old anti-psychotic medications and cream for muscle aches. Heard says the Colorado cases seem to have leveled off. But without hard data, and because the overall numbers are small, it's hard to say for sure. He doesn't believe cases of the pot syndrome increased after recreational use was legalized in 2012, because chronic users probably already had medical marijuana cards. Queen is still struggling to completely quit marijuana, but her symptoms are down to a dull stomachache. She now smokes a couple of times a day, compared with her near-constant use in the past. She says it's the only thing that works for her depression and anxiety. Queen is back to a healthy weight and hasn't been to the hospital in a year. She says she wouldn't want to discourage anybody from smoking weed; she just wants people to know heavy use can bring them some serious misery. "Now, if I get sick, as sad as I'll be and as upset and disappointed with myself as I would be, at least it's a freaking choice," she says. Kaiser Health News is an editorially independent news service that is part of the nonpartisan Henry J. Kaiser Family Foundation. Find Pauline Bartolone on Twitter @pbartolone.